To protect animals during transport; By placing a filtertop on the animal cages during any kind of transport, the animals can be protected against contamination from the outside environment. To create a micro isolator; The cage and filtertop unit can be regarded as a microisolator in which animals can be held permanently. It is a simple alternative to the complex barrier room system creating the barrier at cage level. Animals housed in microisolator units are not only protected from contamination of other lab animals, but are also protected against contamination by people. 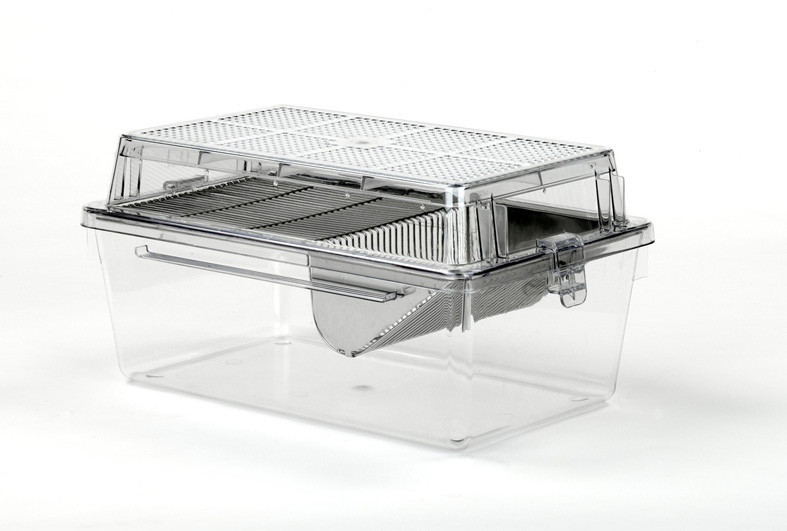 The UNO filtertop is made of polycarbonate or polysufhone, can be washed and is autoclavable in the same way as the UNO cages. The filtersheet is made of polyester, can be washed and is autoclavable, but has to be replaced after approx. 10 times of utilisation. 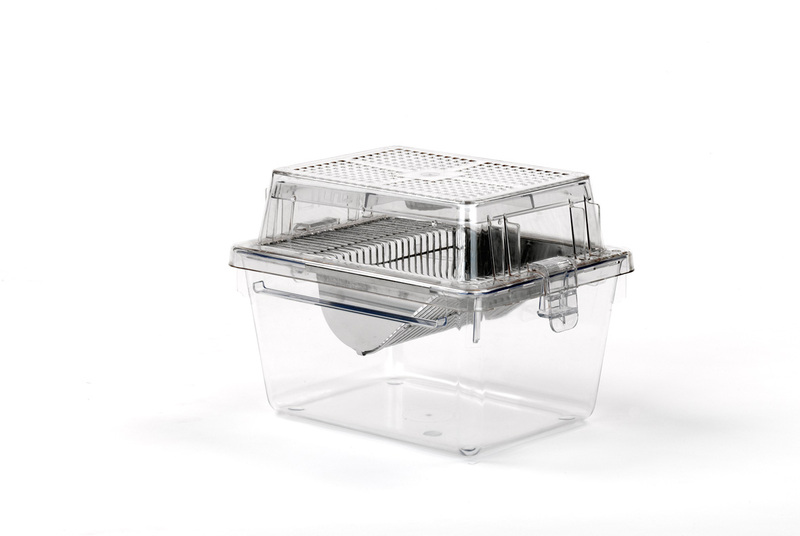 The UNO cage and filtertop unit protects the animal it houses by relying upon a classic Petri Dish like effect; the filtertop overlaps the cage. This results in protection against microbial contamination while allowing for gaseous exchange. To effectively maintain the isolation of the animals at all times, cages must be opened and serviced within a Class 100 work bench and aseptically supplied with sterile or pasteurised food, bedding and water. 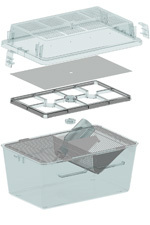 Filtertops can be delivered with or without clips to prevent undesired removal of the top. The UNO polycarbonate cages are adjusted to hold a special wire bar - this hangs in the cage and is kept in place with the so called retainers. For the Type II filtertopcage a special wire lid is available which hangs on the rims of the cage - no retainers are necessarry! 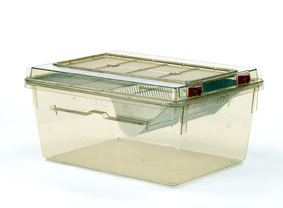 For the type III filtertopcage a raised wire lid is also available. A special labelholder is developed to put on the front of the filtertop. Available for both type II and type III filtertops. Both filtertops and cages can be stacked easily.